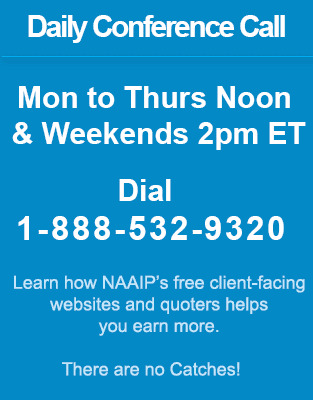 NAAIP offers innovative opportunity for selling along with independent pharmacies and Walgreens and Part D plans. This program assists senior agents in the market to sell, prospect and gain reference to insurance products with consumers in their area. Agents can plan how to work in their area and target customers that are best prospects. Coventry Health Care is a respected member of the insurance-provider network with strong principles that are reflected by the company's continued success. Established in 1986 when the Coventry Corporation was incorporated, it has gathered strength through multiple acquisitions and now sits comfortably among the heavy-hitters of the insurance industry. Humana has gained its excellent reputation through many decades of experience and is rated among the best companies in the country. The company has benefitted countless clients through its outstanding wellness programs, valuable benefits and reliable customer service. By teaming up with trusted regional pharmacies and Walgreens across the country, here is an opportunity to uniquely position prescription solutions for seniors. In co-ordination with community pharmacists this program is designed to address the shifting landscape of Part D and to adjust as per the changing needs of current population of Medicare, along with ten thousand people who turn 65 every day across the country.